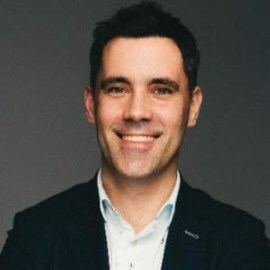 Gavin joined JOE in September 2017, from AOL UK where he held the position of Commercial Director. He successfully merged together the AOL, Microsoft and Millennial Media sales teams into one market leading, award winning unit. He led the brand, programmatic, branded content and client teams across The Huffington Post, Engadget, TechCrunch, MSN, Skype and Xbox. Prior to joining AOL UK through the acquisition of Millennial Media, he worked for Specific Media and also ids (Virgin Media) in the commercial broadcast team working closely with advertiser partners across spot and sponsorship. Gavin also presents and contributes at industry thought leadership events such as the IAB Upfronts, The Drum 'Programmatic Punch' and Ad Week Europe. He lives in Surrey with his wife and two kids and is a lifelong West Bromwich Albion supporter as well as a keen golfer.